Getting in shape is about more than having washboard abs or rock-solid biceps - exercise is an essential building block to a healthier lifestyle for men and women. To truly reap the benefits of diet and exercise, individuals have to make a total commitment to a healthy style of living. This includes gaining a greater understanding of the connection between nutrition and exercise. A recent study suggests that engaging in light exercise after eating may be effective in helping lower triglyceride levels in the body. Participants in the study engaged in a combination of walking and low-resistance exercises after eating high-fat meals. Published in the February edition of Medicine & Science in Sports & Exercise, the official journal of the American College of Sports Medicine, the findings show that structuring exercise around meal times can help individuals gain greater results over time. "Regular exercise is a good way to keep triglycerides from becoming elevated, and the results of this study may help individuals manage their triglyceride levels more effectively by considering the timing," said study author Wataru Aoi, Ph.D., of Kyoto Prefectural University. Triglycerides are lipids in the bloodstream and are stored in fat cells. When levels are too high, triglycerides can leave individuals more susceptible to cardiovascular issues, including heart disease, as well as high cholesterol, according to the Mayo Clinic. If you want to make the most of your fitness plan, you should consider the times and intensity at which you're working out. By scheduling a quick trip to the gym after lunch, or walking the dog after dinner, you can optimize your workout to gain the best results. For instance, with a versatile piece of equipment like an Arc Trainer, you can engage in light work out and steadily work your way up to more intensive sessions. 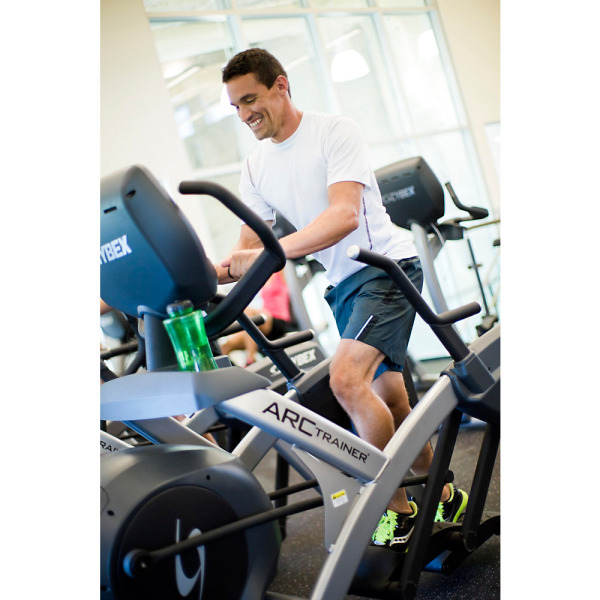 Training on the Arc Trainer can help improve cardiovascular wellness and hasten heart rate recovery times, which can enable you to improve your workout capacity. To raise your endurance, consider engaging in up to three 30-minute workouts per week. Use these 8 exercises to be ready for skiing & snowboarding, all winter long.